My form does not show up. going back and forth, and then the form doesn't show up. It's taking way too much time - what needs to happen? Upon checking your account, I didn't find any issue. All your forms with its direct link is working fine but four of your forms have expired as you have set the "Expiration Date". Please let us know if you are getting any error in form? 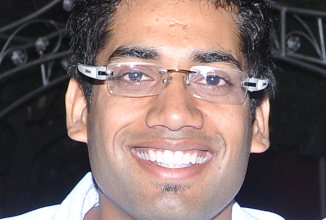 If you have embed your form in any webpage, please do share the url. We will wait to hear from you. 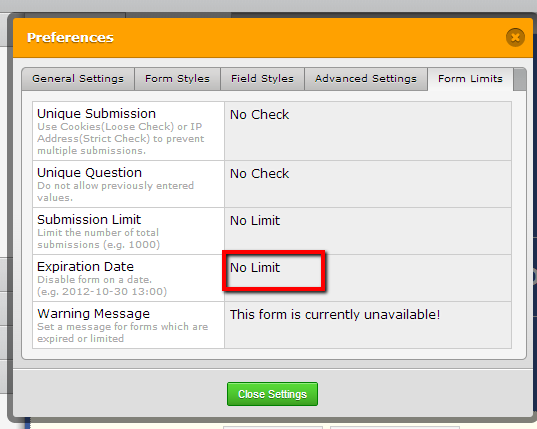 How do I change the expiration date to "no limit"
To change the expiration date to No Limit you will need to open your form in Edit mode, select Preferences >Form Limits and enter the text No Limit in the Expiration Date field.